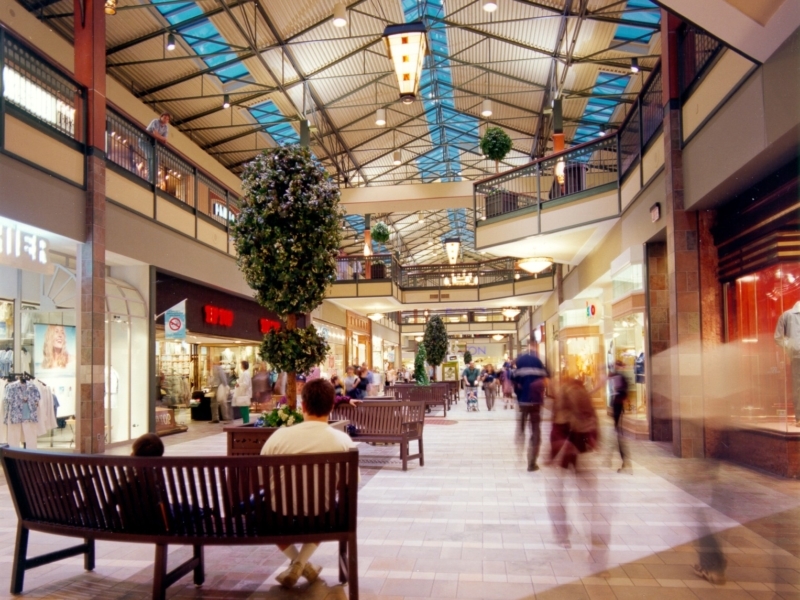 CF Promenades St-Bruno, the largest enclosed shopping center on Montreal’s South Shore, underwent one of the most significant transformations since its inauguration in 1977. The mall renovation includes the enhancement of the exterior entrances, with new signage and wayfinding program, finishes, glass railings and a modern glass elevator that was relocated to the center of the mall. The transparency and light color palette promote the infusion of natural light throughout the mall down to the lower level increasing the visibility of the retailers. GH+A has redesigned the mall twice since the 1975 opening; in 1990 and in 2015.